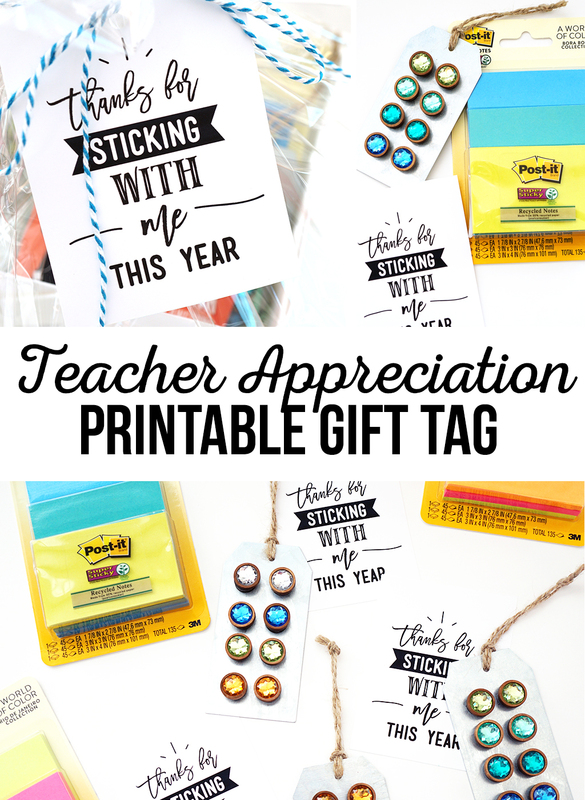 Tell your teacher thank you with this “Thanks for Sticking With Me Printable Tag”. 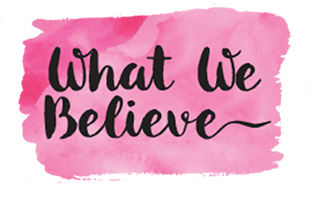 We’re in the home stretch to the end of the year! 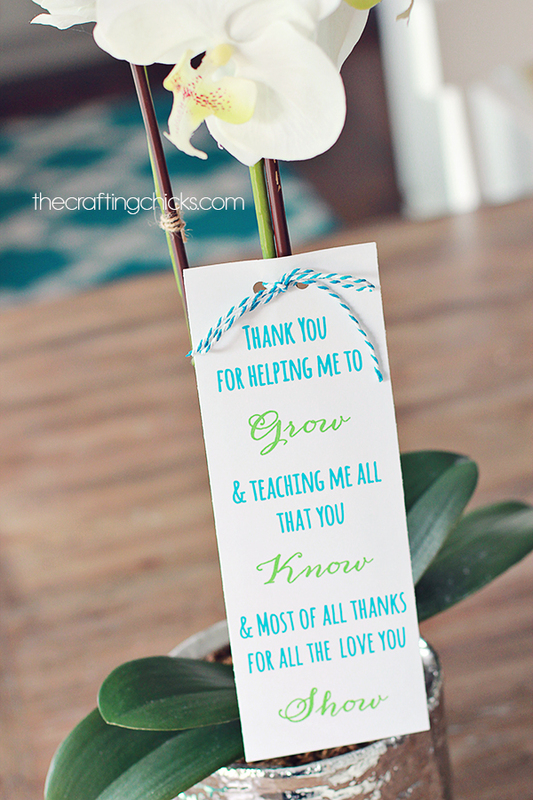 With only 12 more school days, it’s time to start thinking of how we’ll be thanking our teachers! 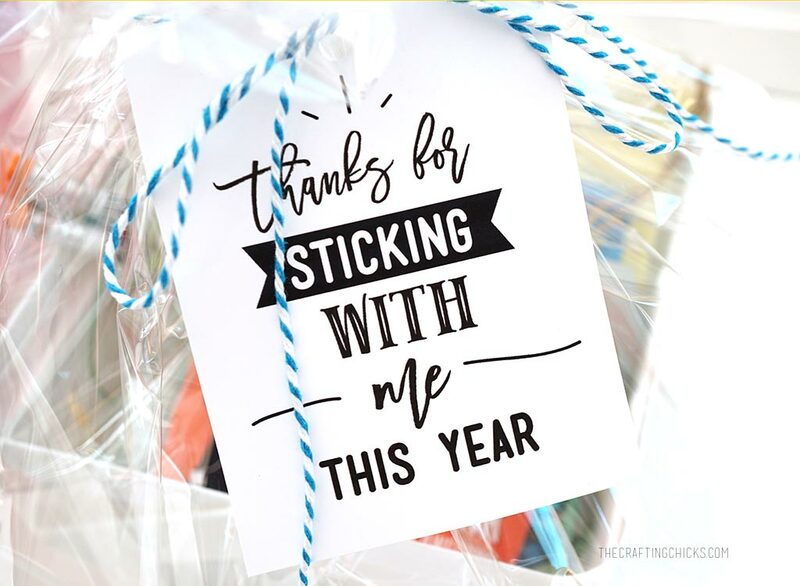 This hasn’t been the easiest year for my oldest and I felt thanking the teacher for sticking with us would be very fitting, so I whipped up this Thanks for Sticking With Me printable tag. 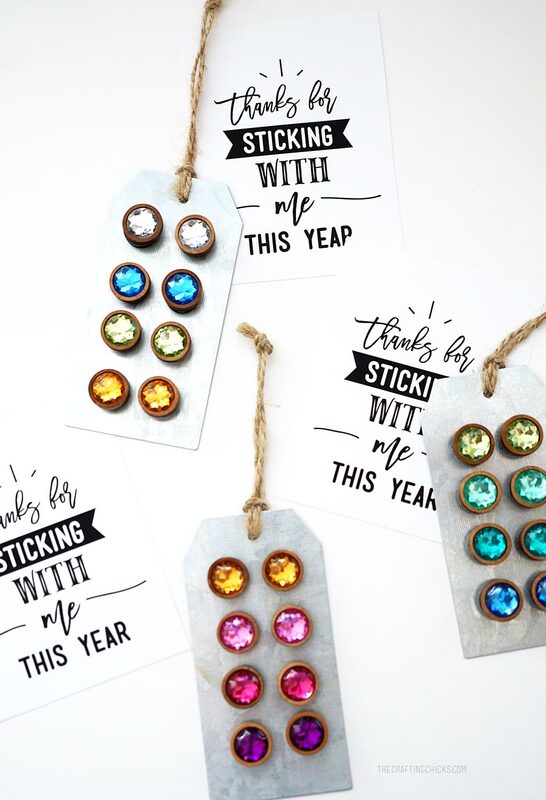 You may remember these magnets from our Magnetic Chore Chart post, where I showed how to make them. 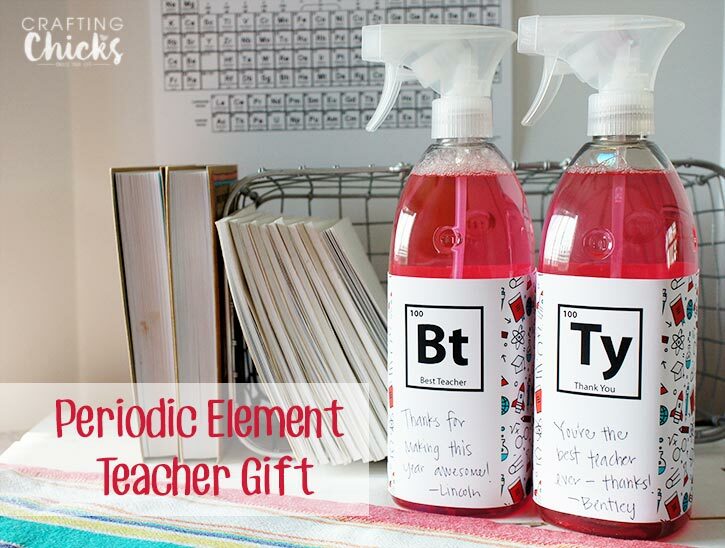 After making ours, I was helping in the classroom and noticed the whiteboards were magnetic and thought they would make a useful (and flashy) teacher gift. The metal tags are from Michaels and are perfect for holding the magnets in place (and they were super cheap). 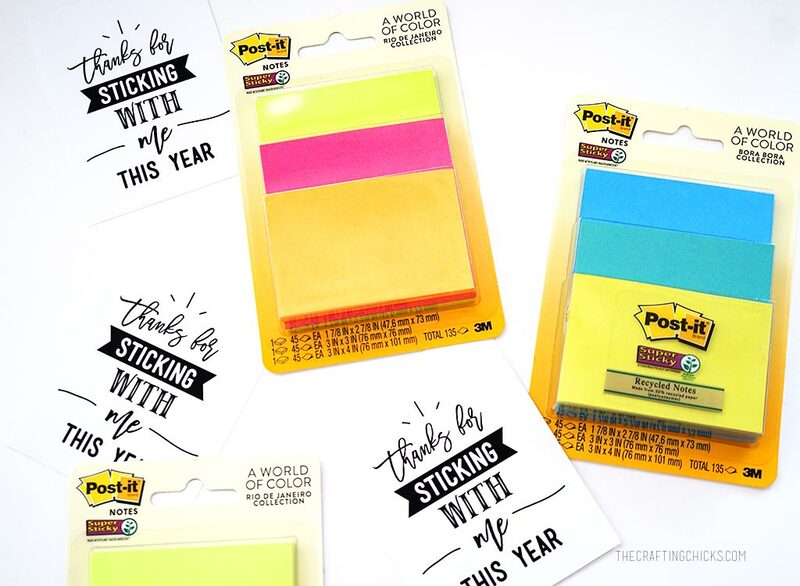 We picked up Post-It Notes as another “sticky” item to add to the gift basket for the teachers. 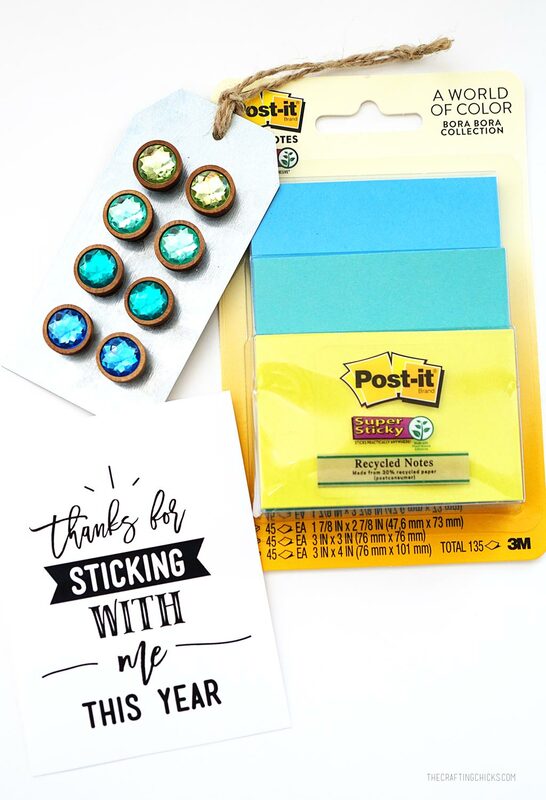 If you want more sticky things a teacher could use here are some ideas: cute tape dispenser, gum, glue, candy, soda, lip gloss, and washi tape. Download is for personal use only and may not be sold. We packaged them up and tied the tag on the outside. 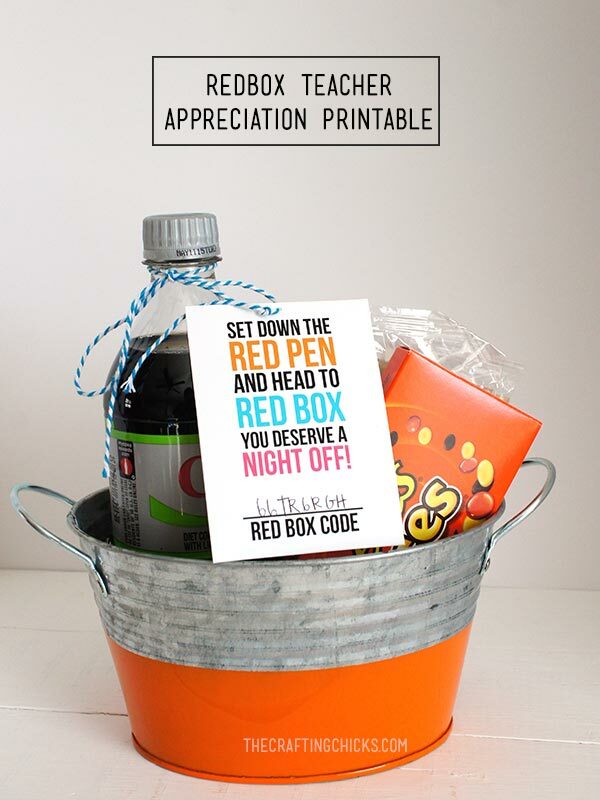 If you want to make the gift a little more substantial go ahead and throw a gift card in the mix. 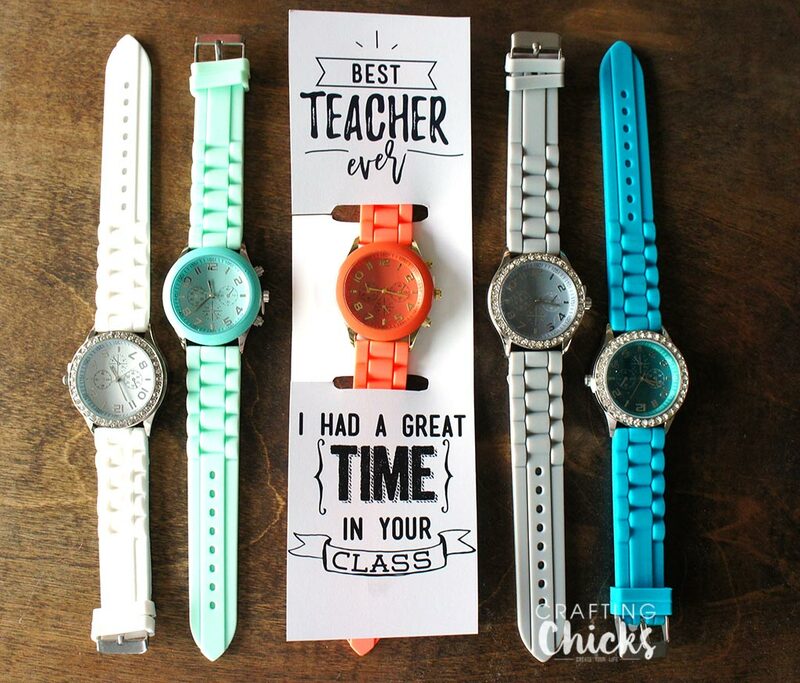 I had a great time in your class teacher printable.